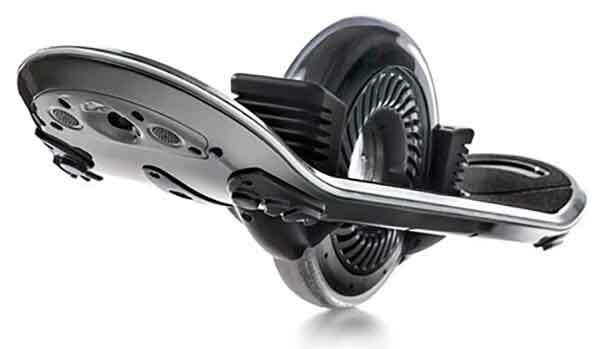 Forever called upon as a “product of the future,” the term hoverboard gets new association this year via a California company selling an electrically-controlled one wheel vehicle. We tested the Boosted Boards Electric Longboard this past summer, and we currently have a One Wheel in the office. But a new offering, called the Hoverboard, is touting to be a superior solution in the emerging category of powered boards that “float” over the ground. Granted, this product — and none of those listed above — actually hover. But it can feel like levitation when you’re carving smooth blacktop, banking turns, and climbing up small hills, all under the power of an electronic wheel and gauges that keep things balanced and upright. 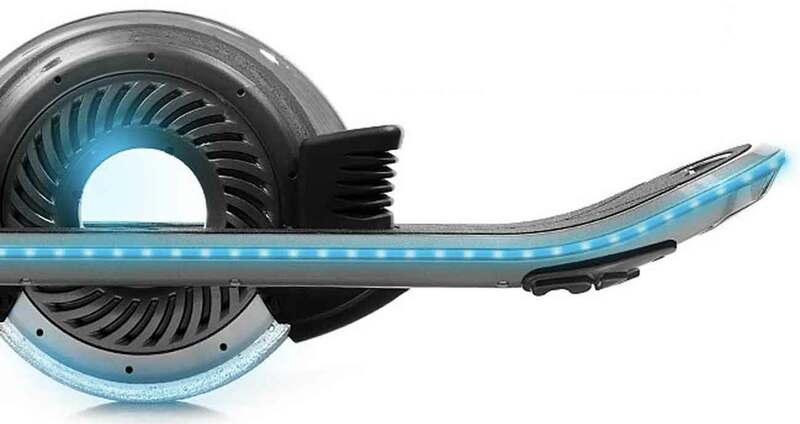 The Hoverboard is seeking Kickstarter funding to the tune of $500,000. To make that goal the company needs to pre-sell a lot of its pricey, high-tech boards. They go for $3,775 and up. For that used-car-level price you get a 25-pound magnesium board of the future that, while it may not float, looks to offer a smooth ride. Internal sensors keep it balanced, and simply leaning initiates a motor that boosts a single wheel to speeds of 16MPH. The range is 10 miles. 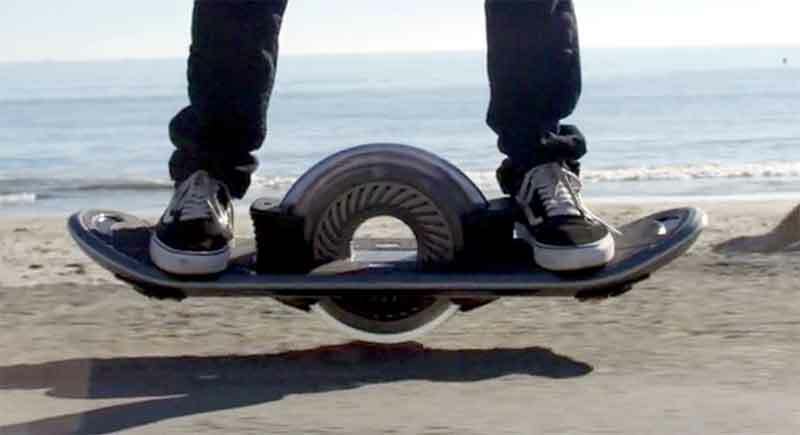 It stays “hovering” on one wheel with a sonar technology that measures the distance between each end of the board and the ground below, adjusting the motor where needed to keep you stable. There are LED lights and (get this) speakers built in, letting you cruise beachside concrete as a tune-pumping spectacle. At least the cars and bikers will see you, and the pedestrians will hear you coming up from behind. Hoverboard Technologies, a California-based company, calls its namesake product the “Next Evolution In Personal Electric Mobility.” With its sky-high price and unconventional design we’ll soon see if the market agrees.